If you’re in the States and have any history at all of body image issues or disordered eating, you already know the massive ball of stress that we Americans refer to as Thanksgiving. A holiday based around traveling long distances (this year in the snow…) to meet up with family members we haven’t seen in months and gorge ourselves on (often panic-inducing) food until we descend into a carb-heavy coma and get to watch our relatives get increasingly drunk on white wine? For years and years, this was not exactly my idea of fun. Don’t get me wrong, I love Thanksgiving. I love my family more than anything, and I’m all for any possible moment to get us all together in the same room, after we’ve gone our separate ways for university. It was my eating disorder that didn’t enjoy the holiday. Almost 15 months into recovery, here I sit in my bed at home. Tis the night before Thanksgiving, and all through the house, I’m refrigerating things I’ve been baking all day with my mom. Cookies, pie, latkes (Thanksgivukkah for the win! ), matzo ball soup… and that’s only the night before. My belly is full, my body is warm, I just ate about twelve pieces of Hanukkah gelt, and all in all? No more panicked night-before-Thanksgiving pre-holiday preventative exercise binges. No more pawing through cookbooks looking for low-cal low-fat recipes I could make and eat on the side. No more fear. No more anxiety. I can’t wait for tomorrow. This sounds like I’m bullshitting you, but I promise I’m not. I’m actually surprised about how relaxed I am about the whole thing. I thought that there would be at least some residual fear this year, like there was last Thanksgiving. I told myself I was totally good with the holiday. I schmoozed with my family and had second helpings of dessert because my cousin is an experimental baker and hot damn but that pie was fabulous. But the guilt was there. The nerves were there. And I was still afraid that somebody would, horror of horrors, say something about what I was eating. You know, because my eating disorder’s ideal for the day was that no one would notice I was there. Ideally, I wouldn’t even exist. This year? Forget about it. I’ll eat what I want. I won’t weigh myself for a few days afterwards, because it all comes out in the wash in the end and one day (or four) of indulging won’t kill me. If I get stressed out during the preparations (it’s being held at my parents’ house, and that means I’m sous chef number one, or as things evolve, chef chef number one), I’ll go for a walk, or take a few calming breaths in the bathroom, and then move on. 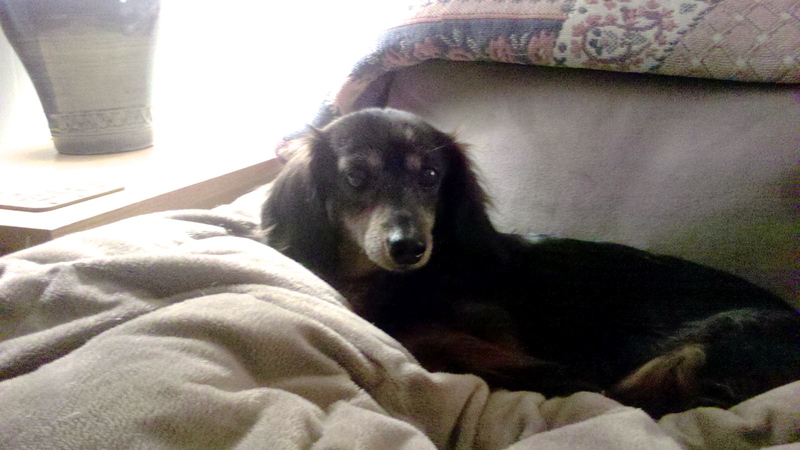 Because the real point of Thanksgiving is that I get to see my brother and my sister and my parents and my grandpa and my grandma from across the state, and my aunts and uncles and my adorable little elderly blind dachshund who I miss like no one’s business. Not the food on my plate. That’s just a bonus. Gratuitous dog shot! C’mon, look at that face. I know that Thanksgiving can be a stress-filled time, but it doesn’t have to be that way forever. It’s so possible to love Thanksgiving again. Never give up hope. You can do this. If you find that you’re feeling overwhelmed or scared or depressed on Thanksgiving because of body image or disordered eating urges, you’re not alone. There are people all across the country worrying about the same things. And there are people out there who want to help you. 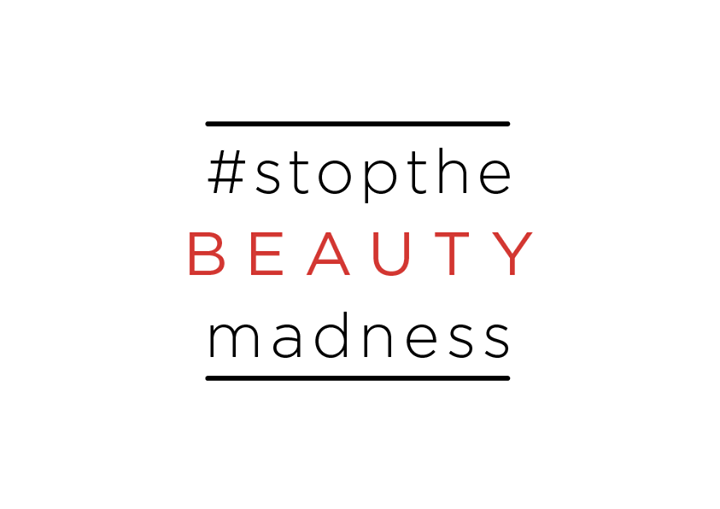 Check out this campaign, spearheaded by the ever-amazing Melissa A. Fabello, who I used to work with a few months ago and whose awesomeness literally blows me away. Thanksgiving is coming. And while for many of us, that means the excitement of friends, family, and food, for many others, Thanksgiving comes with it a lot of stress, fear, and anxiety. And this Thanksgiving, we want to make sure that you get the support, resources, and community that you need. Make new friends by finding people across the country struggling with the same issues. Start a support network! Use the hash tag #thx4support or tweet us directly. Are you an organization who wants in on the action? Use #thx4support to tweet out related articles and resources! Let your followers know that this support is available. Share this graphic! 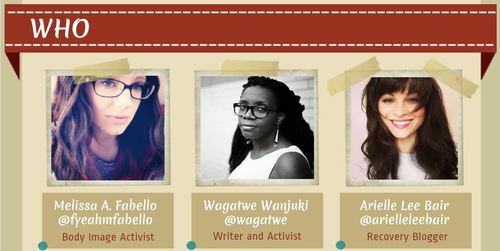 If you have capacity, join in on giving support to people using the hash tag. And what can individuals do? Follow #thx4support and send inspiration to those in need! Tweet out your favorite resources using #thx4support. Let us know what kinds of ideas and questions you have by tweeting us! Because we believe that recovery is possible. And we know that support can help. Struggling? 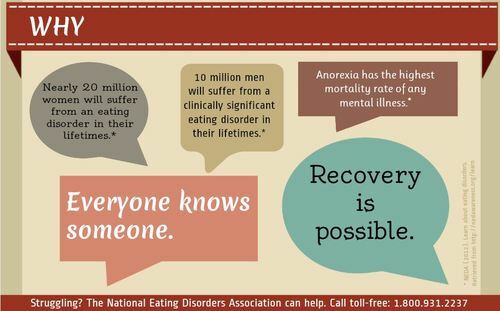 The National Eating Disorder Association (NEDA) can help. Call toll-free 1.800.931.2237. 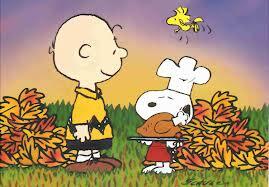 Wishing you all a happy and healthy Thanksgiving, in whatever way you choose to celebrate. 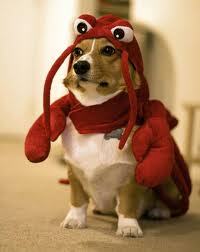 Warm wishes, best hopes for the future, and a picture of a corgi dressed as a lobster for good measure.